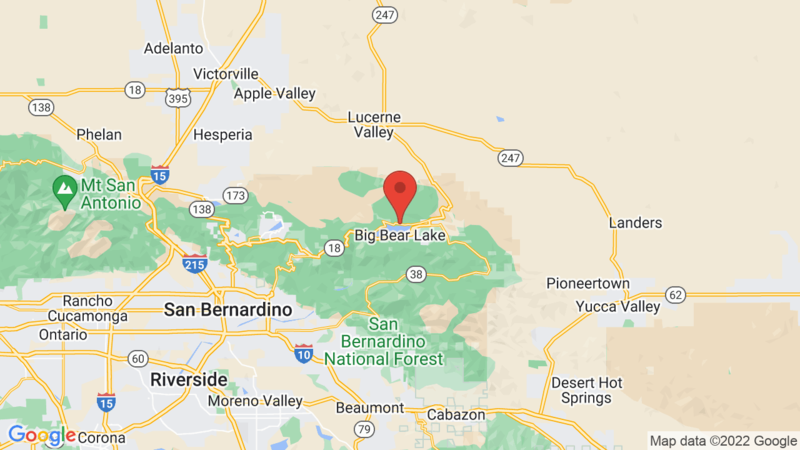 Serrano Campground is located next to Big Bear Lake and has 132 single-family camping sites for tents, trailers and RVs. The campground is located within sight of and across the road from Big Bear Lake. It is composed of four loops (Summer Wind – sites 1 to 34, Snowberry – 35 to 64, Evening Star – 65 to 100, and Lake View – 101 to 132). Each campsite also has a paved parking spur, table, fire ring and grate. Fourteen of the sites are ‘double’ campsites. There are 29 campsites with full hookups (30 amp). Group tent camping is also available. Some sites are wheelchair-accessible. Campground amenities include drinking water, flush toilets, hot showers and a dump station. A boat launch ramp is also located nearby the campground. Popular outdoor activities include boating and fishing on Big Bear Lake, canoeing, kayaking, swimming, water sports, driving the Gold Fever Trail, hiking, mountain biking and wildlife viewing. The Big Bear Discovery Center is nearby, as are the towns of Big Bear Lake and Big Bear City. A few other campgrounds in the area are: Pine Knot, Holcomb Valley and Hanna Flat. Visted Serrano Campground lately? We'd love to hear about your adventure. Did you find us useful? Did we forget something? Anything our community should know before heading out to Serrano? Serrano is separated and named into different sections. Do any of these campsites have a lake view because there’s a section called Lakeview and that can be deceiving if none of them actually have a lake view. If you click on the Campground Map you’ll see that the sites in the Lake View Loop are closer to the lake and some do have views of the water. Campsites 109 to 122 are your best bet for water views. How far is the lake from campsite 117? Serrano campsite #17 is about 1/4 mile from the lake/water (across North Shore Lane). You don’t have to have an RV in the Snowberry loop/campsites at Serrano campground. I have reservations for this weekend. (3/16 to 3/18) Are the sites cleared of snow in the Lakeview loop? 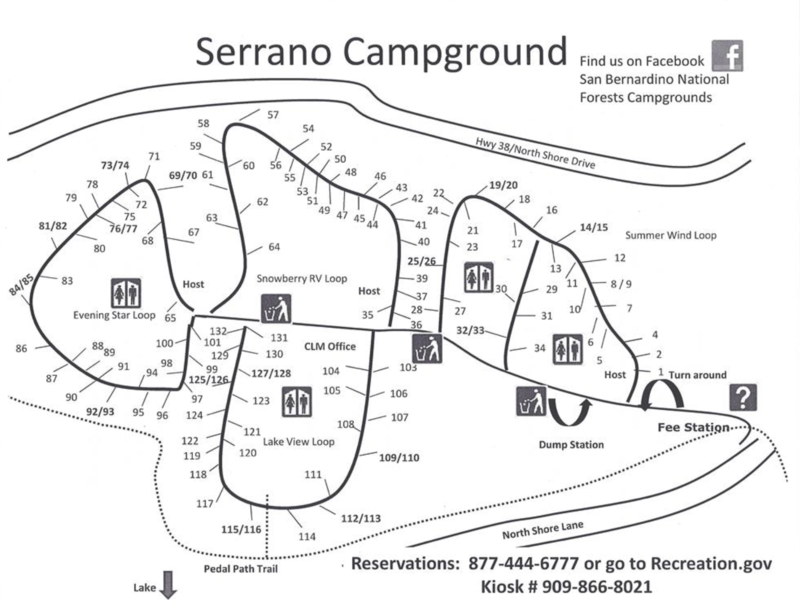 Parking in Serrano campground is only for registered/paid campers. You can park in areas close to the campground and walk through it.